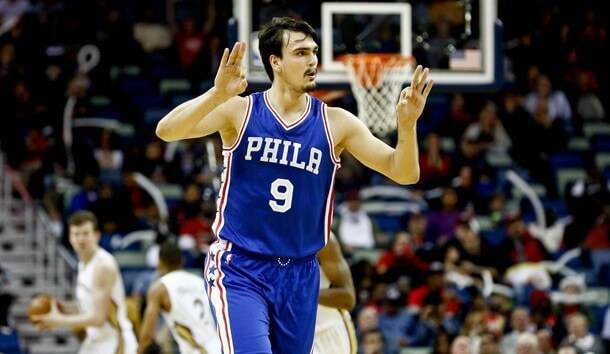 After Butler’s shocking trade to the Sixers yesterday, Dario Saric joined the Minnesota Timberwolves. It’s still early to say, but Saric joined the team “without” a real game plan. Former Rookie of the Year nominee is a perfect role player, born to be the second or third attacking option. Truth to be said, he is not an athlete for the NBA standards, but, with high IQ, his skills were put on a good use under the Sixers coach Brett Brown. What’s Dario Saric status with his new team? Saric can be used either as a power or small forward. Karl Anthony Towns is holding center’s position while Tim Thibodeau’s “favourite guy“, Taj Gibson, is starting at power forward. As “KAT” (Towns) lacks toughness, there is Gibson for all that dirty work. So, it’s hard to expect that Dario Saric will replace Gibson. But, solid shooting skills, something that he still needs to improve, and his high IQ, will give Thibodeau a chance to experiment with a small ball system. 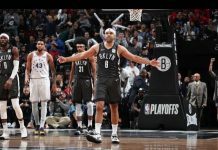 Saric needs to prove his new coach that this is a better option, rather than using the 33-year old Taj Gibson as a “corrector”. Saric used Ben Simmons and Joel Embiid passing skills very well, but Derrick Rose and Jeff Teague are score-first point guards. Besides Gibson, there is Anthony Tolliver (PF) and the talented Andrew Wiggins/Robert Covington (SF). Dario is ideal as a “role system player”, but there is no system in Minnesota. Previous articleSixers to trade for Kyle Korver?